The Okavango Delta is one of the most breathtaking and celebrated wilderness areas in Africa. The Okavango is a unique ecosystem of lagoons and channels which covers on average some 17 000 square kilometers. It is one of the largest inland deltas in the world, once being part of Lake Makgadikgadi which dried up many years ago. Surrounded by the parched Kalahari Desert, the Okavango is a lush oasis that attracts vast animal concentrations during the dry season. It is a natural spectacle that leaves a lasting impression on all those fortunate enough to have witnessed its grandeur. Okavango Delta vacations range from specific packages to this unique wilderness to being included in a longer itinerary with multiple other safari destinations. Regarded as one of nature's most spectacular masterpieces, the Okavango Delta offers its visitors the opportunity to explore one of Africa's supreme wilderness areas. A World Heritage Site, this boundless and unspoiled freshwater oasis stretches across the heart of Botswana's Kalahari Desert. The delta sustains incredible numbers of wildlife within a dramatic natural setting. Despite its wild nature, the Okavango Delta remains accessible to safari enthusiasts. Guided game drives, bush walks, Mokoro and boat safaris add to the wild appeal of an Okavango Delta safari. This African safari destination offers the widest range of safari activities available in Botswana and features some of Africa's most luxurious safari lodges. Safeguarded by the Moremi Game Reserve and various private wildlife concessions, the Okavango Delta is an untouched haven to impressive numbers of elephant, buffalo, lion, hippo, giraffe and zebra. A predator paradise, the delta is a world-renowned stronghold for leopard and wild dog, as well as many rare and unusual mammal and bird species. Few places in the world offer a greater sense of remoteness and isolation, a place where man can reconnect with nature and leave behind the worries and frustrations of the modern world, even if only for a short period of time. 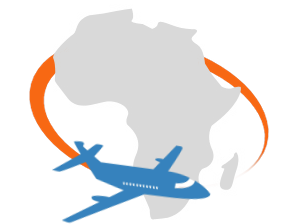 Daily scheduled flights are operated between Johannesburg and Maun, the gateway to the Okavango. These flights are just under an hour and a half in duration. Upon reaching Maun, light charter flights bring guests to gravel airstrips close to the lodge where they will be staying. December to February are hot, wet months with daytime temperatures as high as 40°C. Humidity levels fluctuate between 50% and 80%. From March to May, the temperatures become far more comfortable, with a maximum of 30°C during the day and mild to cool evenings. The rain dries up quickly, leading into the dry, cooler winter months of June to August. Daytime temperatures at this time of year are mild to warm, but the temperatures begin to fall after sunset. September to November sees the heat and atmospheric pressure build up once more as the dry season slides into the rainy season. October is the most challenging month for visitors - daytime temperatures often push past 40°C, and the dryness is only occasionally broken by a sudden cloudburst. The Okavango is best visited from June to the end of September, but having said this, each season in this ecosystem has its own wonders to offer visitors. Malaria is prevalent in the area and it would be wise to consider anti-malarial prophylactics. If you take any chronic medication or require allergy medication from time to time, it is recommended that you pack an ample supply of both, for there are no chemists or shops where these can be bought or supplemented. Adhere to the rules and recommendations of your ranger as far as wildlife interactions are concerned to ensure a safe and hassle-free safari in Botswana's Okavango Delta. When visiting the Okavango Delta, the goal of your experiences is mainly to maximize your game viewing. It is important to savor the small things as well, however - those fleeting moments where you truly realize the privilege of witnessing a particular sighting. All animals are forced to cross the crystal-clear channels that separate the multitude of islands from one another. Even predators like lions, who would normally avoid swimming, are forced to make these crossings in search of prey. There is something special about gazing out over the wilderness at sunset with the cry of the fish eagle providing the ambiance for this experience. The sound embodies Africa and her wild places and is one of the most beautiful sounds of the bush. Gliding silently through the reed-lined channels of the Okavango in a traditional canoe provides one of the best opportunities of spotting the rare sitatunga. It is normally very skittish, and would disappear at the first sound of an approaching vehicle. The modes of transportation utilized on your safari in the Okavango Delta consist of specially fitted open 4x4 vehicles for game drives. Unlike in private game reserves in South Africa, these vehicles are covered by a canvas roof to protect against the harsh African sun. The waterways are explored in specially adapted motorized game viewing boats as well as "mokoros", traditional canoes that have been utilized in the area for hundreds, even thousands of years. These canoes are traditionally carved from the trunk of a single tree and are propelled forward by a pole bearer standing in the back of the mokoro. Morogo is a type of spinach that forms an important part of the diet of locals in Botswana. It is rich in vitamins and minerals and quite healthy. The plants grow wild and are harvested regularly. Lerotse is a type of wild melon thought to have originated in Botswana. It has a very distinctive taste and has to be cooked before being eaten. Several local dishes use lerotse as an ingredient. Tswii is a vegetable that resembles a potato in many ways. It is usually cooked in a stew with beef or goat meat to enhance its flavor. It can also be cooked and enjoyed with butter and salt. A dish created with beans, sorghum and or maize. The ingredients are cooked together in salted water, to which a little animal fat or vegetable oil has been added. It is traditionally served with meat or milk products. Would you recommend the Okavango to First-time safari travelers? Yes. If you are comfortable flying in light aircraft, the Okavango is a wonderful introduction to safaris in Africa. What are the rarest animals that can be seen in the Okavango? The elusive sitatunga, with its specially adapted hooves, is right at home in swamp areas, though rarely spotted. The rarest carnivore that can be spotted in the Okavango is the African wild dog. Will Mobile Phone and WiFi coverage be available? Blissfully no, this is one of the last parts of the world where one can relax without the constant need to "be in contact". Is it true that all camps in the Okavango are tented? Yes, the government of Botswana has very wisely placed a restriction on the use of concrete, cement and brick in this sensitive ecological area. The camps are, however, still very luxurious with all modern amenities. Are there luggage restrictions on the light charger flights? Yes, you may only carry a maximum weight of 20kg. In addition to this, your luggage should be packed in soft canvas bags that can be easily stowed in the light aircraft. Is it possible to go to local shops while staying in the Okavango? There are no towns or shops even close to the areas where the Okavango's camps are located. The last opportunity for last minute shopping will be in Maun before your charter flight to the safari camp. What is the ideal duration for a visit? The basic rule of thumb is that longer is always better than shorter. If time and resources allow, a minimum stay of four nights should be considered. This will mean three full days to enjoy the rich natural diversity of the Okavango Delta. What if I have a fear of flying in light aircraft? A handful of the Okavango's lodges can be reached overland, normally only in the dry season. If you fear flying in light aircraft, you would be better served booking your safari in one of South Africa's private game reserves. Should I pick a lodge with only water-based game viewing? You will be better served picking a lodge that offers both land- and water-based game viewing. 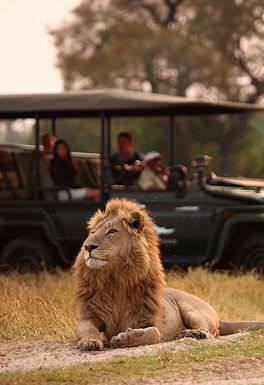 Generally speaking, the land-based game drives are much more productive in terms of variety and number of animals seen. South Africa is home to a wealth of wildlife areas and cultural intrigue. Travel to Botswana for a truly authentic and eco-friendly safari experience. Namibia's vast stretches of desert make it a rather unique safari destination. Zambia is home to primeval safari areas like South Luangwa and Kafue. Mozambique's beaches and archipelagos offer memorable African vacations. The Okavango Delta has not always been the reserve it is today. Towards the end of the 19th century, the animal population in the southern delta had been practically wiped out by the rinderpest epidemic. It took many years for the animal numbers to recover, simply to come under new pressure from uncontrolled hunting and encroaching cattle farms. Thanks in large part to the efforts of the wife of Chief Moremi III, the tribe agreed to set aside the the area between the Khwai and Mogogelo Rivers as a wildlife reserve. On 15 March 1963, the reserve was officially proclaimed and named in honor of Chief Moremi. This reserve, in which a large part of the Okavango Delta is protected, now covers an area of 4872 square kilometers (1856 sq miles). Animal numbers have since recovered very well thanks in large part to the vision of these early conservationists and the commitment of the Botswana government to preserve its wilderness areas and animal life. The Okavango Delta is produced by seasonal flooding. The Okavango River drains the summer rainfall from the Angola highlands and the surge flows 1 200km in one month. The waters then spread over the 250km by 150m area of the delta over the next four months. The flood peaks during Botswana’s dry winter months, when the delta swells to three times its permanent size, attracting animals from miles around and creating one of Africa's greatest concentrations of wildlife. The delta's profuse greenery is not the result of a tropical climate - it is rather like an oasis in an arid country. The Okavango Delta is both a permanent and seasonal home to a wide variety of wildlife, which makes it a popular tourist attraction. The delta is known for it abundance of predator species, which include the big cats like lion, leopard and cheetah. The Okavango Delta is also home to one of the largest pack densities of the endangered African wild dog on the African continent. Both brown and spotted hyena occur. Herbivores range from behemoths like elephant, hippo and Cape buffalo to large antelope and plains game species such as tsessebe, sitatunga, kudu, sable antelope, giraffe and zebra. The area is home to over 400 species of birds, including African fish eagle, Pel's fishing owl, crested crane, lilac-breasted roller, hamerkop, ostrich and sacred ibis. The most populous large mammal is the lechwe antelope, with more than 60 000 of these water-loving creatures gracing the wetlands. The lechwe is slightly larger than an impala, with elongated hooves and a water-repellent substance on their legs that enables rapid movement through knee-deep water. They graze on aquatic plants and take to water when threatened by predators. The majority of the estimated 200 000 large mammals in and around the delta are not year-round residents. They leave with the summer rains to find renewed fields of grass to graze on and trees to browse, then make their way back as winter approaches. One of the reasons that the Okavango Delta is such a popular African safari destination is the wealth of safari activities available. Naturally the most popular activity remains the traditional game drive in an open 4x4 vehicle, which provides visitors with an elevated vantage point over the vast stretches of the delta and the opportunity to spot wildlife from afar. The alternative option of bush walks offers the chance to get intimate with this unique wilderness area. An African safari activity that remains inherent to an Okavango Delta safari is water-based game viewing from a mokoro. Relax as you are propelled through the shallow waters of the delta by a guide that stands in the stern and pushes forward with a pole. Mokoros are traditionally made by digging out the trunk of a large straight tree, such as an ebony or Kigelia tree. Modern mokoros, however, are increasingly made of fiber glass. One of the advantages of this material is the preservation of some of the large endangered trees in the area. Mokoro safaris are a popular way for visitors to explore the delta. The Okavango Delta is a lush, water-logged oasis tucked away amidst the sweltering sands of the Kalahari Basin. Chobe National Park is the most accessible of Botswana's phenomenal wilderness areas and supports a wealth of wildlife. The Makgadikgadi Pan is one of Botswana's more unique safari destinations. It is ideal for star-gazing and adventure activities like quad biking. The immense Central Kalahari Game Reserve stretches across an eleventh of Botswana's surface area.